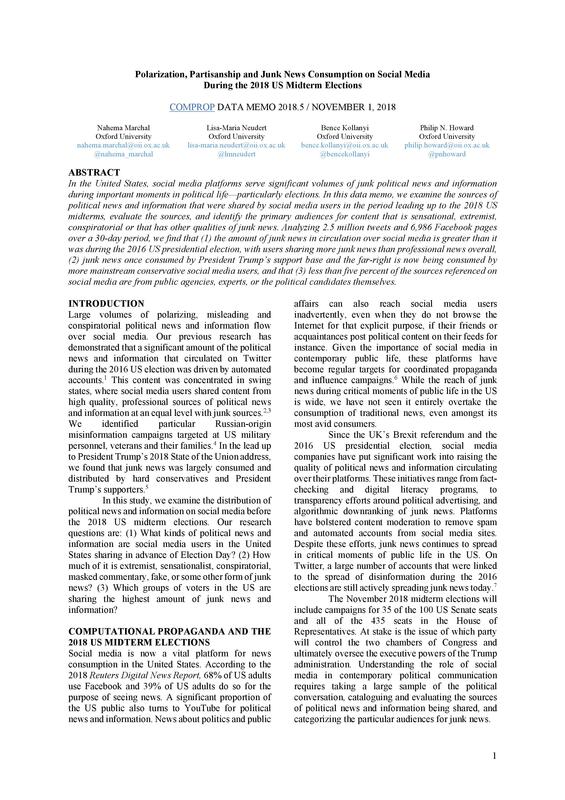 Social media is now a vital platform for news consumption in the United States, particularly during important moments in political life such as elections. A significant portion of US adults turn to social media platforms for news content[i]. Given the importance of social media as a news channel, these platforms have become regular targets for coordinated efforts to spread misinformation and junk news with the aim of influencing voters. Read the full data memo on the Computational Propaganda website.